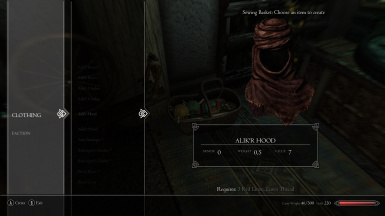 An update to ClothingCraft adding a Tailoring Skill and perks. All credits go to DrMonops for the original ClothingCraft mod, I only added the skill system and updated some records. 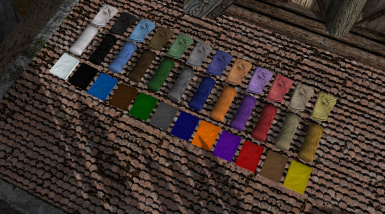 All of the features from the Original ClothingCraft plus my additions. 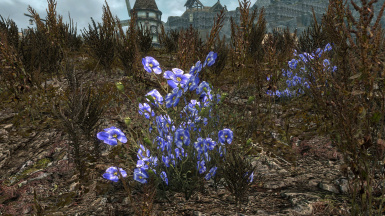 A Tailoring perk point is granted every 5 Tailoring skill increases. 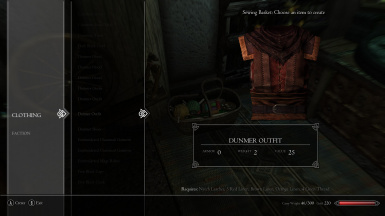 Likely incompatible with any mod that drastically alters clothing. 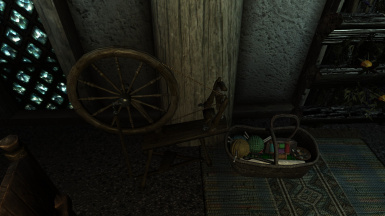 May be incompatible with mods that alter the locations where the new crafting workbenches have been placed, at worst there could be minor clipping. A bashed/smashed patch is required for leveled list compatibility.